How is your skin at risk? Sun damage can occur whenever your skin is exposed to the sun. Wherever there is sunlight, there is ultraviolet (UV) radiation and wherever there is UV radiation, your skin is at risk of getting damaged, making suncare one of your most important skincare investments. Even everyday exposure to sunlight, like when you’re driving your car or hanging out the washing, as well as exposure to fluorescent lighting at work, can result in UV damage to your skin! Suncare application should not be limited to a day at the beach, considering your skin is even at risk under office lighting. Which suncare option should you choose? Selecting a suncare product can be daunting with so many options available- many of which include multiple harmful chemicals. 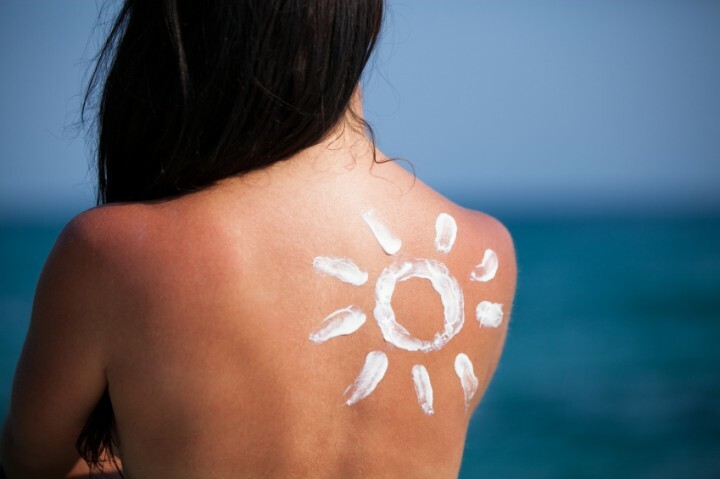 Scary statistics show that up to 75% of suncare products are considered toxic. As Suncare should be part of your everyday skincare routine, you need to ensure that your skin is getting the best protection, without exposure to any harmful ingredients. The Laser Beautique’s skincare professionals would be able to recommend a suncare program, specifically suited to your lifestyle and skin. At The Laser Beautique, both our RegimA & Nimue skincare ranges offer superior suncare options, designed to offer your skin not only protection from UV rays- but also restorative hydration, and a multitude of anti-ageing benefits. The Laser Beautique also offers an exciting variety of suncare application options, which will suit every occasion and skin type. Whether you need the convenience of a spray application for the beach, a luxurious tinted moisturiser with built in sun protection for a lightweight summer glow, or a barrier option, to protect against other environmental factors such as wind exposure and high or low temperature- The Laser Beautique has a suncare product for you. Suncare forms the cornerstone of every beautiful skin! Professional, active suncare options, are not only the most beneficial for your skin, but have also undergone rigorous clinical trials, to ensure that whilst providing UV protection, they are safe, and free of the harmful chemicals common in your grocery store suncare products. Prioritize your skin and invest in a comprehensive suncare range- unprotected sun exposure today, will become your ageing concern tomorrow.